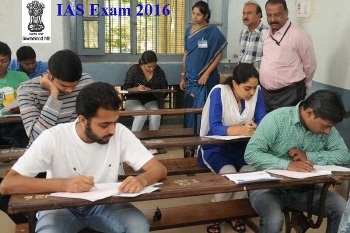 UPSC has issued an important notice for the IAS exam 2016. The Commission has notified of change in the examination centres of few candidates. Details in this regard can be found here. Union Public Service Commission (UPSC) has notified candidates about examination centre changes. As per the official release, special notice has been issued for candidates with roll numbers from 1060810 to 1111052, 1062708 to 1070448 and 0995363 to 1018682. Candidates may note that there is modification in the address of the venue. Such candidates who have downloaded their e‐admission certificate earlier may download their e‐ admission certificate once again and note the change in the venue. Candidates who have been allotted the venue ‘Christhu Raj College, Panjapur, Madurai NH, Tiruchirappalli‐620012’ must cross check that the new venue is Christhu Raj College, Panjappur, Viralimalai Road, Trichy‐Madurai National Highway, Tiruchirappalli‐620012, Tamilnadu. Similar is the case for ‘Greater Noida Institute Of Technology, Plot No. 7, Knowledge Park‐II, Near Expo Mart, Greater Noida, Gautam Buddh Nagar‐201306 (U.P. )’ in which the changed new exam venue is Greater Noida Institute Of Technology, Plot No. 6c, Knowledge Park‐II, Near Expo Mart, Greater Noida, Gautam Buddh Nagar‐201306 (U.P.). Candidates who have allotted to the venue ‘Dr. Ambedkar Institute Of Technology, Near Thana Bharathi Campus, Bangalore‐ 560056 (Sub‐Centre‐‘A’ / Sub‐Centre‐ ‘B’) must check that the new address for examination is ‘‘Dr. Ambedkar Institute Of Technology, Near Jnana Bharathi Campus, BDA Outer Ring Road, Nagarabhavi Road, Mallathahalli, Bangalore‐560056 Sub‐Centre‐A / Sub‐Centre‐B’.